Some weeks ago, I saw a "DrawYourOCInThis tweet of some lovely lingerie. My immediate thought: "I should draw Frost in this!" Frost: "Don't you have at least twelve female protagonists you could draw instead?" Me: "C'mon, Frost. You wear robes and gowns with long skirts in 90% of the book and when you're not wearing those, you're cross-dressing by your own culture's standards." Frost: "I do not object to it being feminine. I object to it being lingerie." Me: "Just because I don't describe you in lingerie in the book doesn't mean you'd never wear it." Frost: "I would not wear it in public." Me: "Who says you're in public?" Frost: "You are posting it on Twitter." Me: ".... my feed isn't that popular?" Me: "You're disrobing on the book cover!" Frost: "Everyone undresses. Not everyone wears over-the-top lingerie. It's different." Me: "...if you didn't want to be objectified you shouldn't've been fictional." 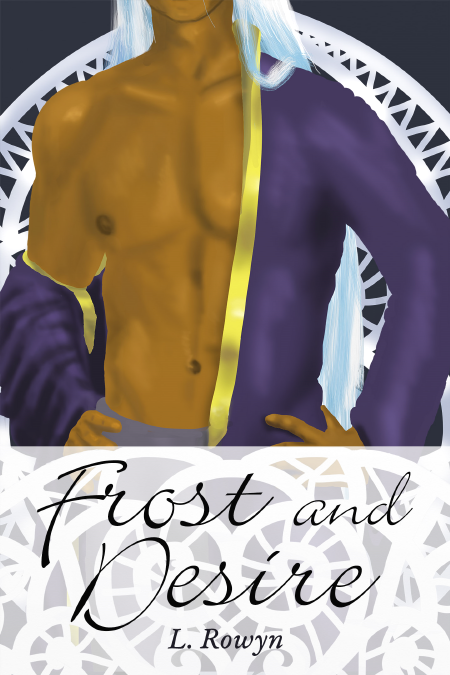 I am not sure why Frost is my go-to for objectification, though. I've drawn more pictures of him than any other character, outside of header images. By a huge margin. Most of my protagonists get maybe a thumbnail sketch, if that. Frost has his own folder. I dunno. The thing I am happiest about with this picture is that I managed to draw a male character in a feminine outfit but he still looks like a man. I am bad at drawing men that look male so this is a triumph for me. Frost is from Frost and Desire. The pose reference is from SenshiStock.